Robert Pattinson delivered the performance of his career with the A24 drama The Rover, and now he’s back with A24 with the crime thriller Good Time. Directed by Josh and Ben Safdie (Heaven Knows What), the picture centers on Constantine (Robert Pattinson) a crook who attempts to get his younger brother (Ben Safdie) out of prison after a failed bank robbery. During one maddening and violent evening, Constantine does whatever it takes to get his brother out of jail and into safety. After carving his teeth on the Twilight films, Pattinson could have gone the A-list actor route and done his share of studio driven films. Instead, with works such as The Rover, Life, and The Lost City of Z, Pattinson has aligned himself with more auteur driven projects. Pattinson looks to be in fine form in this film, which premieres at the Cannes Film Festival (in competition) on May 25. Check out the trailer and tell us what you think! 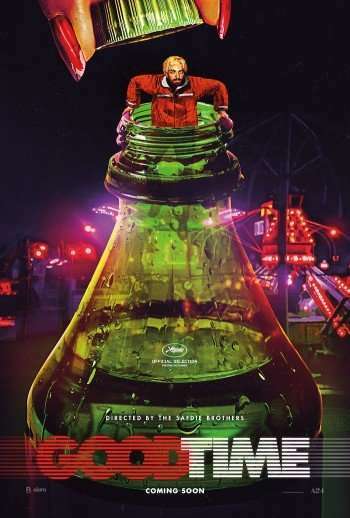 Co-starring Jennifer Jason Leigh, Good Time opens in theaters August 11.